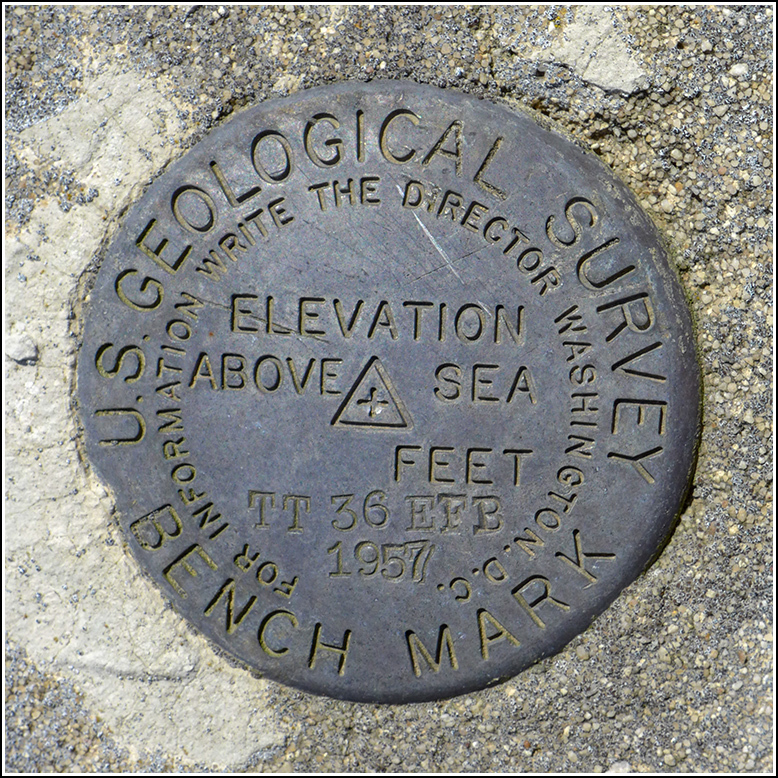 Point Phillip, 0.85 mi N. of, along dirt rd. ; about 2.3 mi N. of Klecknersville; about 3.1 airline mi SSE. 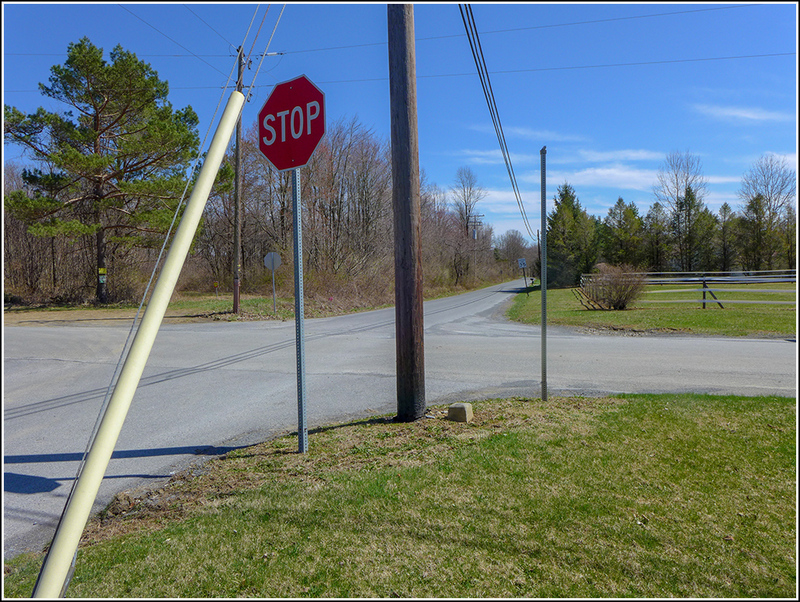 of Kunkletown; 24 ft N. and 15 ft W. of, and about 2 ft higher than crossroads; 2 ft W. of power pole #268; in concrete post; standard tablet stamped "TT 36 EFB 1957"
It wouldn't be mid April without a beautiful day for a morning hike, an early supper somewhere interesting, and an evening spent at the Banff Mountain Film Festival showing at Northampton Community College. Oh, and a benchmark find fits into those activities quite well, too! Rich, Dad and I began our day with a leisurely hike at Bear Creek Preserve, after which we bounced our way along Route 115 (which is more pothole than pavement) toward Kunkletown. We went over the Blue Mountain at Smith Gap (not Dad's favorite part of the trip, although at least he wasn't driving this time) and began to head south toward the Point Phillips Hotel. 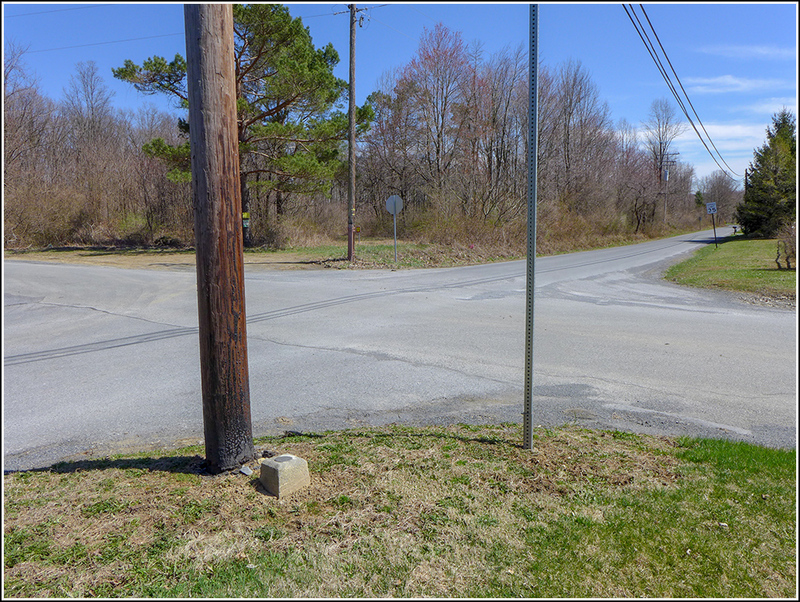 I was hoping I'd have a few minutes to search for the benchmark that I knew had once been at this intersection. Fortunately—since we were running a few minutes late to meet our friends at the hotel—no search was necessary. I spotted the benchmark on its concrete monument when we paused at the stop sign. I hopped out to complete the recovery and Rich pulled off to the side of Mountain Road to wait. The disk is in excellent condition. 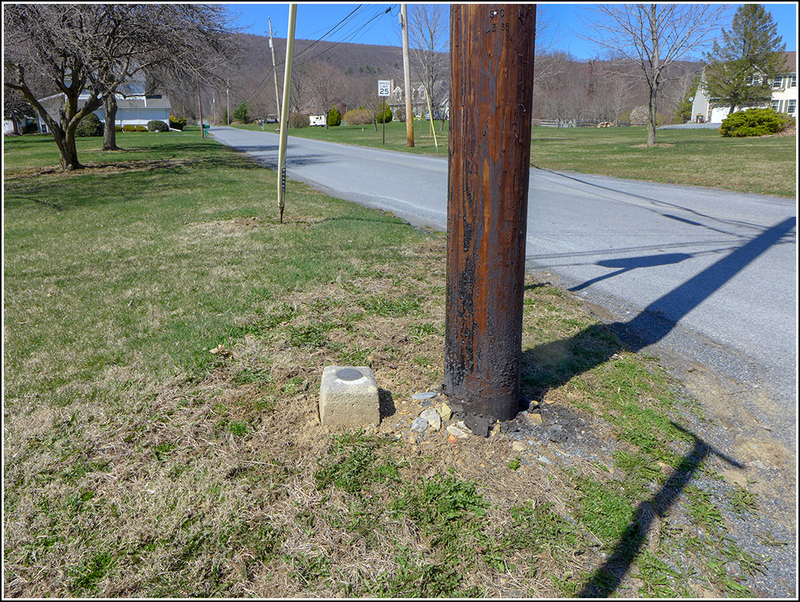 The monument appears to be slightly tipped but this may be an illusion; it doesn't have any damage to indicate it had been struck by a vehicle or plow. It's obviously very easy to locate and access. 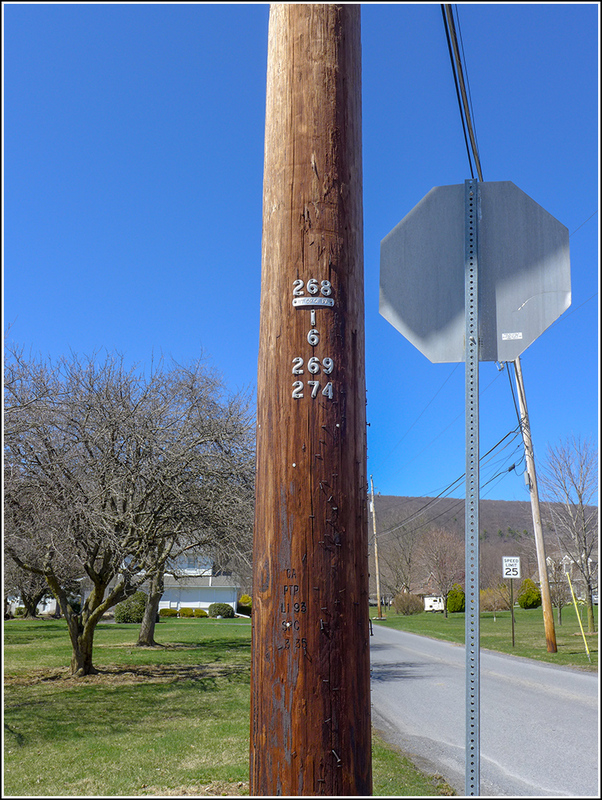 The power pole is still numbered 268 as it was in the original description from 1957.